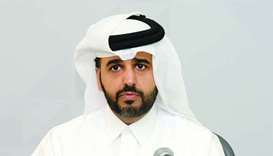 Qatar Development Bank (QDB) and the Ministry of Finance announced Monrday that the preparations for the staging of the fourth edition of the Government Procurement and Contracting Conference & Exhibition ‘Moushtarayat 2019’ are in full swing. 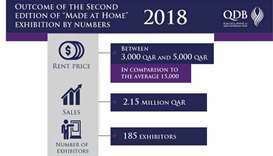 Qatar Development Bank’s (QDB) ‘Made at Home’ exhibition held in Doha last October generated sales worth QR2.15mn from the 185 exhibitors that participated in the week-long event. 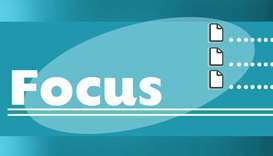 The strategy is a “first-of-its-kind” in Qatar and in Arab countries, and is aimed at nurturing business startup companies. 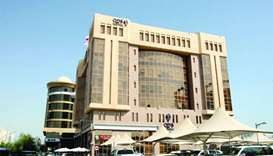 The findings were announced during the first ‘National Incubation Strategy’ workshop hosted by QDB at the Hilton Doha on Monday. Qatar Development Bank (QDB) has announced the launch of a seafront tourism project that offers 100 investment opportunities for entrepreneurs. The exhibition is being organised by QDB with the active co-operation of Qatar Chamber, NAMA Centre and the Ministry of Administrative Development Labour and Social Affairs. 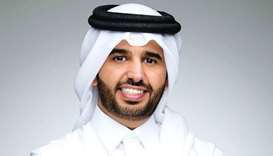 In 2017, QDB brought more than 500 Qatari companies to over 100 exhibitions abroad, according to QDB CEO Abdulaziz bin Nasser al-Khalifa, who spoke to reporters recently on the sidelines of a launching event. 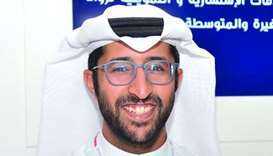 New programmes and strategies are creating platforms for start-ups and SMEs in Qatar, Oxford Business Group (OBG) has said in a report.